Preheat oven to 350 degrees and lightly coat muffin tins with cooking spray. In a large bowl, stir together the rice flour, tapioca flour, sugar, baking soda, salt, xanthan gum, and baking powder. Add the wet mixture to the dry mixture, stirring with a big spoon until well blended. Add some apple juice or water if needed to moisten the batter if it seems dry. Bake in preheated oven for 10 to 15 minutes or until they are slightly browned and middle bounces back when touched. 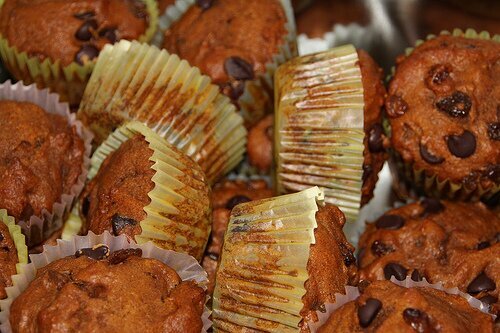 Remove and let cool for a few minutes before tipping them out of the muffin tin.